2006-07 GM Truck 4WD (w/ LLY/LBZ Engine) Stage 3 Auto Trans Package. Full Pull Diesel Performance is a trusted dealer and installer for all ATS Diesel products. ATS Diesel backs their transmissions with a 5 year/500,000 mile warranty, and you won’t find that anywhere else. Saying a lot of R&D has gone into our built Allison 1000 transmissions would be the understatement of the century. Between the engineering team designing parts that our transmission specialists have developed and the thousands of testing hours on thousands of trucks around the world, no other transmission has been put through the paces like the ATS transmission has. We have transmissions in anything from stock truck with worn out factory transmissions, to professional hot shot drivers, to weekend drag racers and sled pullers, to competition drag racers and sled pullers, and even all the way as wild as a snow cat! The ATS built transmission was designed and produced for what you want out of it and how you are going to drive. What sets the ATS transmission apart from the rest can be summed up in two words: innovation and technology. Clutches – ATS manufactures each and every clutch used in any transmission or torque converter, and we are the only ones who do this. We do this by using a 3 axis high-intensity CNC laser to cut out all our clutch steels which allows us to make even the smallest of changes any time we see room for improvement. What this means is we can make the change and put it into testing and get it to the market almost immediately, where other company are stuck with what they can buy. Along with this, we have formulated our own unique clutch material that is ONLY used in ATS transmissions. It also uses a bonding agent that will not disintegrate with heat or water, once it has bonded with the steel, they essentially become one piece. All clutch material is also bonded in house, which means unparalleled quality control over the parts that YOU rely on to get you to work, down the race track, or through a family vacation. 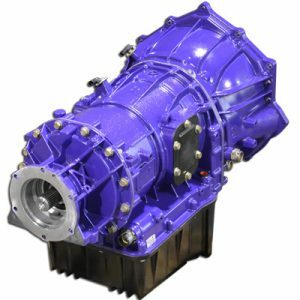 With our clutch designs and the style in which we build those clutches, we are able to add over 200% torque capacity to the transmission, allowing for more power and heavier loads put on the transmission without compromising reliability. Valvebody and pump – The valve body, while working with the computer, is essentially the brain of the transmission. It is what routes fluid to particular clutch packs based on which gear your truck needs to be in. Needless to say, this is an important part, so naturally it was in need of improvement. A stock transmission will run with line pressures, somewhere around 90 psi. While this is no problem for stock power, it has little room for any added torque. With the ATS shift kit (A and B trim valves and converter flow valve) and pump upgrade kit (pressure regulator valve and pressure regulator spring) we bump the pressure in the transmission up to 250 psi. This is what is going to give the clamping force on the clutches and give that added torque capacity. Add in a co-pilot, and that has the ability to reach 300 psi. Not only does this allow the transmission to hold more power, but it also allows for quick, crisp shifts with little to no delay in shift timing. So what you are going to notice, is that not only do you get through the gears quicker, but you will not kill off RPM, and more importantly boost from your turbo charger.